As we were riding in the car today, MIL had mentioned she was going to buy more lox to share with our older daughter whom is coming to dinner tomorrow night. I asked, if she had finished what was leftover from the last time she bought it? She said that there was a bit left which she was going to try to freeze. As an after thought, she said that things lasted longer if food was on the lower shelf all the way in the back in the fridge. So with that, I started to laugh to myself. I said, “Do you want to hear a funny story about the word fridge? She of course said yes. I am a graphic artist professionally and years ago a house builder came to my studio with blue prints and wanted me to draw floor plans to be placed in a folder for prospective homebuyers. I drew them up and presented him with a proof for him to check to see if everything was correct. He examined them and said they looked great! I asked him if everything was labeled correctly? He looked at it closer and finally asked me what F meant in the kitchen section? I looked at it and said fridge. He said to me, “Where are you from?” Well I had to laugh as it is a common slang terminology for the refrigerator that a lot of people in South Jersey use. I don’t actually know at what point in my life that I began to use that term? Right now, I am trying to remember who I picked it up from? So of course any time I hear the word fridge I think about this story. In the end, the illustrations had the F letter removed and replaced with an R in each floor plan. This entry was posted in Food Thoughts and tagged acadiatwo, funny, refrigerator, south jersey on October 25, 2014 by acadia2. Once again while at the dentist we were chatting about food… she told me about her trip to France and the amazing experience she and her husband had. Of course while she was talking I really couldn’t say much since I was having a new crown installed. What I remember is she signed up for the cooking lesson in advance, not really knowing what to expect. The French chef was into healthy pure cooking, and there were no written recipes shared. Recipes are not always written or shared by chefs or home-cooks. In fact, writing a recipe is very time-consuming. My dentist, as she worked on my tooth told me about how the French chef cooked everything with a low temperature, slowly roasting the food. The chef par roasted peppers, then placed a pan on top roasting them more. That process caused the skins to easily peel off. The chef also low roasted chicken with numerous vegetables in a clay pot with lid. If I remember right, the chef served it with a tapenade on top. Dessert consisted of a pear drizzled with olive oil and honey roasted on a low temperature along with a herb that I just can’t remember what she said. The final dish was sprinkled with pollen, which my dentist said has antioxidant qualities plus there was a texture to it. It was served with vanilla ice cream. They were very pleased with the whole experience. As she described the food, I could just taste it in my mind. . . This entry was posted in Food Thoughts and tagged antioxidant, clay pot, france, travel on October 23, 2014 by acadia2. Today, I was at the dentist and she asked me who cooked for the holiday Rosh Hashana in our family. I said that I did although, I didn’t create a big elaborate meal since there were only three of us. I told her I made matzo ball soup and charoset. From there I mentioned that I had a food blog. She mentioned that she had bought a share in a CSA. I wasn’t familiar with the acronym, so she explained to me that she gets produce during the whole harvest season from a local farmer that she signs up with, whom she pays ahead of time. She told me it is exciting as she never knows what she will get each week? So when I arrived home I searched for it on the Internet and found out it meant (Community Supported Agriculture), which I found at localharvest.org. After putting my zip code into their search engine, about three farms fairly close to me popped up as options for next season. The funny thing is, I went to sign up for Local Harvest’s newsletter, and to my utter surprise, I was already a member. All I can figure out is, it’s from when I was looking for local canning classes a couple of years ago. 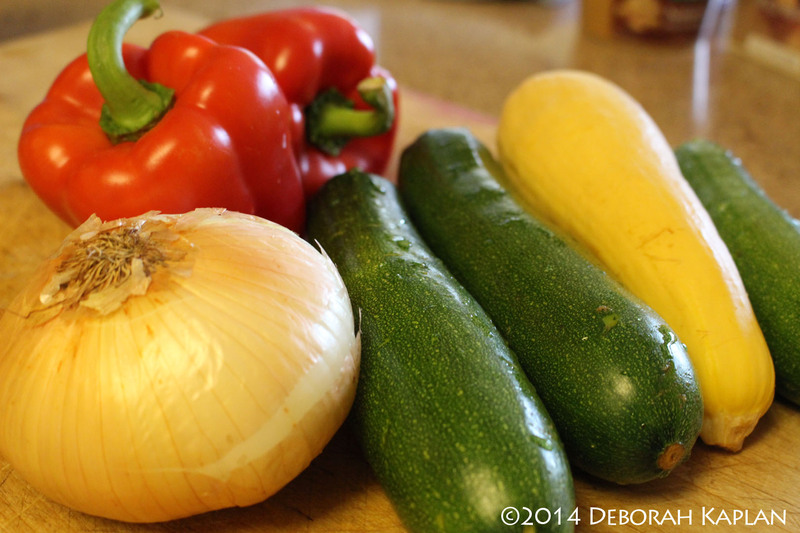 This entry was posted in Food Thoughts and tagged csa, Local harvest, vegetables on October 1, 2014 by acadia2.